Here is my project for Decorate to Celebrate challenge, where the challenges are for 3D projects. Be sure to stop by and see what our talented DT has for your holiday inspiration. 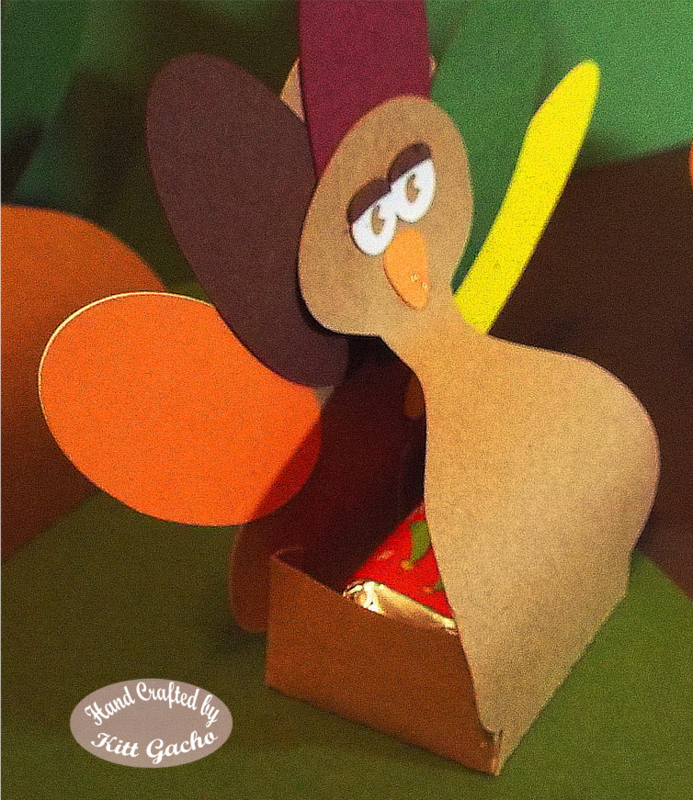 With Thanksgiving coming soon I made these Gobbler's treat boxes. They would also make good place settings by adding a name on the front or they can be used as napkin holders. This is from the Silhouette Store ID #51405. They are having their Thanksgiving items on sale for 25% off. Thanks for stopping by today and leaving your comments. I look forward to hearing from you. Have a happy crafty day. 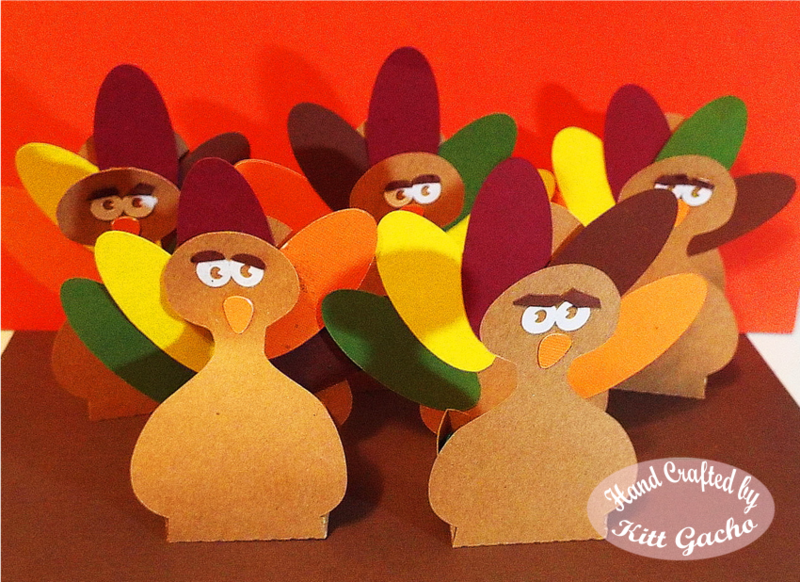 These turkeys are really cute! Thanks for sharing! These look amazing! What a fabulous idea! Hi Kitt:) Glad you were able to get your post up and I hope your computer problem is going well:) these are very cute and fun!! How wonderful!!! Those are the cutest! Cute little turkey!! Thanks so much for playing along with us at Open-Minded Crafting Fun Challenges!!! Good Luck! I hope we see you again!! K: Your Thanksgiving treat holders are adorable!!! 'Thank You' from all the Simply Create Too Design members for joining us for this special challenge [Challenge #74 -"Thanksgiving/ Thank You"]. Hope to see your entries next challenge too. really cute treat holders, i love them, thanks for joining the challenge on Dragons Lair. How cute are these, just see everyones faces when you hand them out. Thanks for joining in with us over at myshericrafts this week. These are soooo cute!!! Thank you for joining us this week in our Fun~day Friday challenge! Oh goodness Kitt, I love this!!! So fun, happy, and adorable! Great job!! Thanks so much for joining us over at the 2 Cute Ink "color challenge". Good luck and I hope you will come back and join us again! Superb creations ! Cute ! Loving your turkies, so cute! Thanks so much for sharing with us at Simply Create Too!